Named after a Bicycle J.J. Corry invented, Our first release The Gael took us just about two years to develop. First we sourced excellent quality and very rare mature Irish Whiskey. Then we set about classifying each cask we have into a particular flavour block. Finally we began blending to create a Classic Irish Whiskey, one bursting with juicy fruit flavours. The Gael has not spent any time on our farm, rather it is our first attempt at beginning to express the house style of whiskey we would like to make in the coming years, once our own stock is mature. Our first batch is only 7000 bottles. @WhiskeyJason: "Probably the Best Irish I have had in my Glass"
"Lovely silky texture, with those citrus notes broadening out into lemon meringue pie with hints of cinnamon. Now it starts to build, gaining power and pace to reach a darker, spicier place where all that citric lift is forgotten. Towards the end, buttery popcorn, then sweet mushed banana and coconut." J.J. Corry 'The Flintlock’ won Best Irish Single Malt over 13 years old in the Irish Whiskey Awards 2018. A limited edition of 400 bottles is due for release in November. The Flintlock is a blend of three partially disgorged ex bourbon 16 year old single malt casks each specially chosen for their individual flavor profiles. It is our first small scale true Bonder’s Blend. It will be released in November 2018 in a very limited quantity of 400 bottles. 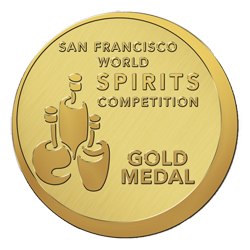 Gold Medal Winning JJ Corry "The Gael" is now available to buy online at The Celtic Whiskey Shop and The Whisky Exchange both of whom ship internationally and in Germany at IrishWhiskey.de Caskers.com delivers to 22 US States. Click on the links to order for direct delivery. In December 2016 we welcomed our First whiskey casks FOr bonding to our Family Farm in County Clare right on the wild atlantic way. Our vision is to emulate the conditions of ageing used by whiskey bonders of old whilst applying modern day know-how and thereby resurrect many of the lost flavours of Independent Irish Whiskey and to bring them to market for the modern whiskey drinker. 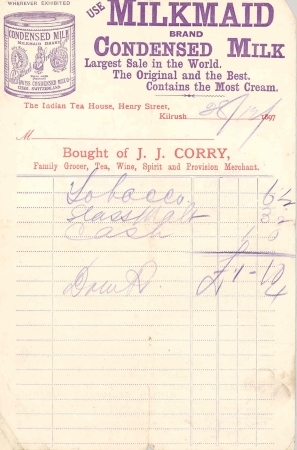 There was a time when every town in Ireland had its own particular flavour of whiskey. The Golden Age of Irish whiskey saw hundreds of distilleries operating on the Island of Ireland. There were not many brands of Whiskey at that time, rather most distilleries simply made their whiskey and sold it wholesale to grocers for bonding.. These grocers would travel to their local distillery with their barrels, have them filled up with new make whiskey and then cart them home and store them for ageing or blending. Because so much of whiskeys' flavour comes from the barrel it is aged in and the climate where that barrel is stored, this meant that there was huge variety of regional flavours within Irish Whiskey. The Irish Whiskey industry collapsed in the early 1900's and with it came the closure of all but 4 distilleries in Ireland. Those distilleries owned by multinational organisations have made almost all the Irish Whiskey produced ever since. They created individual whiskey brands and turned off the tap to Grocers thereby shutting down the practice of Whiskey Bonding. The end of bonding meant the end of true flavour variety in Irish Whiskey. It also meant the end of independence and the great variety that once existed in Irish Whiskey has been lost for over 100 years. We want to be a part of changing all that. Taking inspiration from the enterprising Whiskey Bonders of the 1800's we are resurrecting their business model for the 21st century. We are applying modern day know how to create the highest quality whiskey for the modern drinker. Who Was J. J. Corry? When we set out to understand the methodologies of Whiskey Bonders of the 1800's we didn't have to look too far. 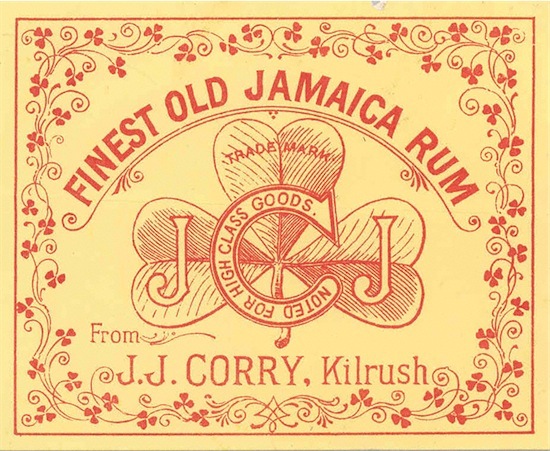 Only 3 miles away from our farm was once a renowned whiskey bonder called J.J. Corry. J.J. was an innovator and a man before his time. 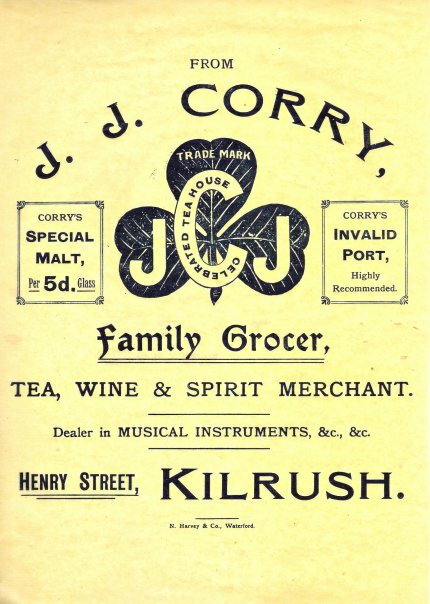 His little shop at 63 Henry St. Kilrush was a key part of the local community and the only place where you could buy J.J.'s pride whiskey "Corry's Special Malt." It was available by the glass for 3 Pennies or by the Jar. J.J. was a true entrepreneur and innovator, born on a farm close to our brand home, because he was not the first born son he was forced to make this own way in the world. We know that he dabbled in auctioneering before he set up this shop in 1890. Once he did acquire the premises and after marrying the girl from the pub next door, he immediately set about setting up his own brand. 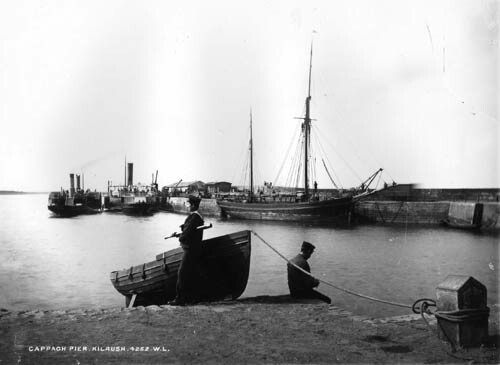 The town of Kilrush was a busy international port in the 1890s and J.J. would have purchased goods from all over the world directly from the Ship's Captains' fresh from their travels. He sold tea from India, Rum from the Caribbean, Wine from France, Port from Portugal in addition to Guns, Ammunition and Bicycles. A true Renascence man J.J. was a pillar of the community and an early adaptor of technology. He even went so far as to invent a Bicycle called 'The Gael' in the 1890s. But most of all he was known for his hospitality and of course his whiskey..
Our approach to ageing, just like our approach to farming, is to work hand in hand with Nature. The Irish weather is renowned for its unpredictability and tendency to change. Its common here on the west coast of Ireland to experience four seasons in one day. Our farm right on the Wild Atlantic Way where our first Rackhouse is located has its own unique microclimate. Only one mile "as the crow flies" from the Atlantic Ocean the air is tinged with brine and the temperature can fluctuate wildly throughout the day. Not so great for a biking holiday but fantastic for ageing Whiskey. We won't know for a few years just how our whiskey is going to be, but we are willing to wait. Our Bonded Rackhouse is the only one of its kind in Ireland. It is styled after a traditional Dunnage house but also takes inspiration from Kentucky and France. It has a southerly facing aspect and windows ensuring that the temperature allows for continuous maturation. The floor is nothing but earth with a gravel screed. This promotes humidity in the Rackhouse. It is small in scale ensuring that the sleeping whiskey benefits from the wild fluctuations in barometric pressure and temperature we have in this little micro climate. We hand rack all of our casks on the Bilge, which means on their sides. This is a practice that has totally died out in Ireland, multinationals choose to vertically pallet their whiskey as its makes better economic sense. We believe that our whiskey will benefit from the extra contact with BOTH heads of the barrel allowing for deeper flavour extraction from the wood. Only time will tell. We have to wait a few years to see if we are right, but we think it will be worth the wait. Our Rackhouse is Located on the McGuane family farm right on the Wild Atlantic Way. These are our casks arriving before being racked. We choose to rack on the Bilge because we think the Whiskey benefits from additional contact with both heads of the barrel. Our business is based on the McGuane family farm, located on the Wild West Coast of Ireland in the beautiful county Clare. The farm has been in the McGuane family for generations and is still farmed today by P.J. our founder's father. We keep a herd of 50 dairy cows and about 30 cattle depending on how good a year it is. The farm boasts not only its own Peat Bog, which we have great future plans for, but also plays host to what is known locally as a "Fairy Fort." This mystic earth mounds found all over County Clare are said to be the dwelling places of the 'Little Folk.' We like to think that they will keep a watchful eye over our sleeping whiskey. We know from family legend that the farm was known as a safe haven for Rebels and Freedom Fighters during Ireland's turbulent past. This was confirmed when, during a renovation, we found a FlinkLock Pistol, hidden in the rafters of our barn. It does not seem that the weapon was ever needed and it was long forgotten, we have had it dated to 1790! My name is Louise McGuane and I left my home in Ireland 20 years ago, my subsequent career in the drinks industry took me all over the world and I have been lucky to live and work in New York, Paris, London and Singapore. In those 20 years I worked and learned from some of the best in global multinational drinks companies Diageo, Pernod Ricard and Moet Hennessey. I know the drinks industry inside out and it truly is my passion. After marrying my husband in 2012 I was soon faced with a tough decision. I was no longer able to leap from country to country every 3 years or travel 80% of the time on business so, I decided to walk away from my global corporate career. I took a little time off and spent it back home in Ireland. During that time I watched my 74 year old father & mother continue to work the farm as they had always done in the knowledge their neither my brother nor I would farm it after they were gone. The Irish have a particular connection to the land and I felt a duty to secure the future of the family farm. I am certainly not the farmer that my father is, so I decided to use my established skill set and so, I founded The Chapel Gate Irish Whiskey Company. After all, Irish Whiskey is ultimately an agricultural product, so why not ensure a future for the farm for the next generation by finishing and ageing whiskey in the very special place. ADMIN ASSISTANT & SITE MANAGER CHAPEL GATE IRISH WHISKEY CO.
·It is an absolute necessity that the candidate for this role has computer and internet proficiency. Experience with and aptitude for Microsoft Word, including generating Excel, Powerpoint, and Word documents is a must. Knowledge of social media and capability of posting to same is necessary. Candidate must be able to communicate via SKYPE and use online Apps to register and log deliveries. Basic training will be given to use new Apps, but not on general PC usage. · This role will only suit a flexible self-starter who understands that at this early stage in the business responsibilities are liable to change. The definition of this role is likely to evolve over time. · Wrap & Mail samples to Journalists, Bloggers etc. · General Filing of invoices, bills etc. · Create and manage contact lists, accounts lists etc. o Provide House access when necessary to guests tradesmen etc.